call now for quality, service and dependability. We specialize in window repairs, we do not replace windows we actually fix windows. Many customers are blown away by the fact we do not try to sell you new windows and actually do what we say we will do. Find out how we can help repair your windows by contacting us today! We carry on our vans a vast selection of window parts to carry out window repairs on the spot. On the off chance we do not have parts we will try to get them as fast as we can. We try to respond quickly to all enquiries for window repairs. If you do get our answer phone we will be in touch ASAP. Customer service is our number 1 goal! Window repairs is what we do best, we take pride in knowing how and what could be wrong with your windows and exactly how best to fix it so your windows last a lot longer then the builder or manufacturer intended! Are your windows not opening or closing properly? It may be a window crank that needs replacing or a window that needs repairing. Keep the bugs out with our mobile screen repair service. We also make custom screens and screen doors. Are you worried your window may fall out next time you open it? 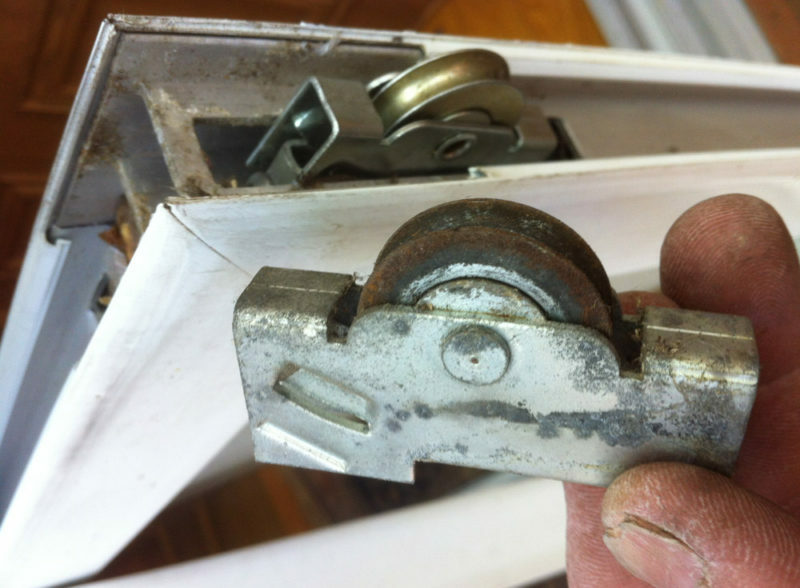 We replace broken window hinges and other window parts. If your sliding door is hard to open or close we can replace the rollers to ensure a nice smooth glide. Window Repairs Don’t Spend Money Buying New Windows! For a Fraction of the Replacement Window Cost! 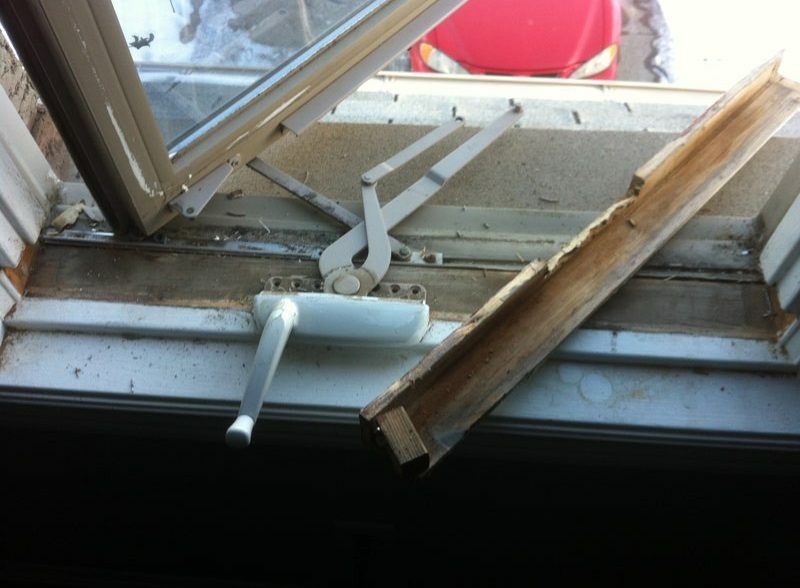 Have you got a window crank that does not close or open your window properly, or a window that you think might fall out next time you try to open it? We specialize in making sure your problem windows work like new again. We can fix most windows with parts that are often better than the original parts provided. Are you annoyed that you can’t get your windows to work like they should? Concerned about security issues, with your windows are too easy to open? 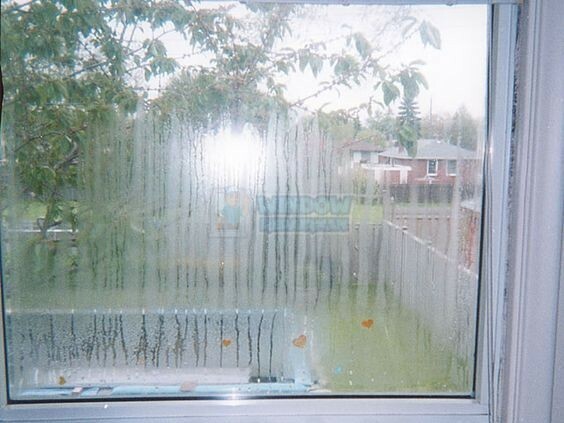 Or even the you are wasting energy through leaky windows? We might just be able to help! You may be thinking of calling a local window company and getting your all your windows replaced. If you like wasting money then go ahead and call them in, however if you want to extend the life of your windows by calling in a window repair man give us a call, send us a few pictures and we would love to help. There is way too much waste in this world, if we by repairing your windows can help you save money whilst providing a great service that can also prevent so many vinyl windows from being sent to the landfill we will have done our job right. STOP before calling a Window Replacement Company Call the Window Repair Man! Before picking up your phone to call a local window replacement company, why not call your local “Window Repair Man” – the first mobile window repair service that actually does what it says on the tin (yes we are British), we repair windows, we do not sell new windows. Window repair man is your go to place for window cranks not working properly, windows that are about to fall out if you try to open them again or for windows that will not stay open or you cannot see through the glass because they are foggy! We can fix your foggy windows, broken window cranks, window latches, window locks, window hinges and identify and fix any issue that may have caused them to break to begin with! IT’S SIMPLE, REPAIR YOUR WINDOWS & REPAIR YOUR SLIDING DOOR, THERE”S NO NEED TO REPLACE THEM! That’s not something any window replacement company you’ll find in the phone book is ever likely to say`. All they want to sell you is a whole new window or even a whole house of replacment windows, when really all that was needed is parts to carry out a window repair. Remember Window Repair Man can repair most windows that are broken, but he also repairs sliding glass doors and window screens that may need some attention. Window companies will most likely tell you those window parts “are no longer available” – and attempt to con you into buying all new windows – when really all you needed were a few window parts. And yet here at Window Repair Man, we have access to replacement parts a lot more than 100 window manufacturers. We’ve been in the window repair business for a number of years, and our sources are unparalleled for having window parts thats are exactly what you need for your broken window. When your windows are broken and you are in need of a mobile window repair service for window cranks, foggy glass, window hinges, window locks or if your sash windows will not stay open or keep falling forwards everytime you try opening them … call Window Repair Man. WE CAN FIX MOST WINDOW REPAIR ISSUES RIGHT AWAY! But we do ask that you send us a photo of the window repair, hinge replacement or window part that you need to ensure a speedy service that you will want to recommend to your neighbours. When we visit your place and assess the problem with your broken wind. Chances are good, that we’ll be able to repair it right away. We tend to carry a lot of the standard window replacement parts on our window repair trucks, hopefully the window part you need is possibly in our regular parts inventory. But nevertheless should we need to “special order” window parts for you, it’ll be FAR CHEAPER than letting a commission-hungry window salesman persuade you that you need to get “all new” windows! At Window Repair Man we can show you how the need for window replacement is just not true. 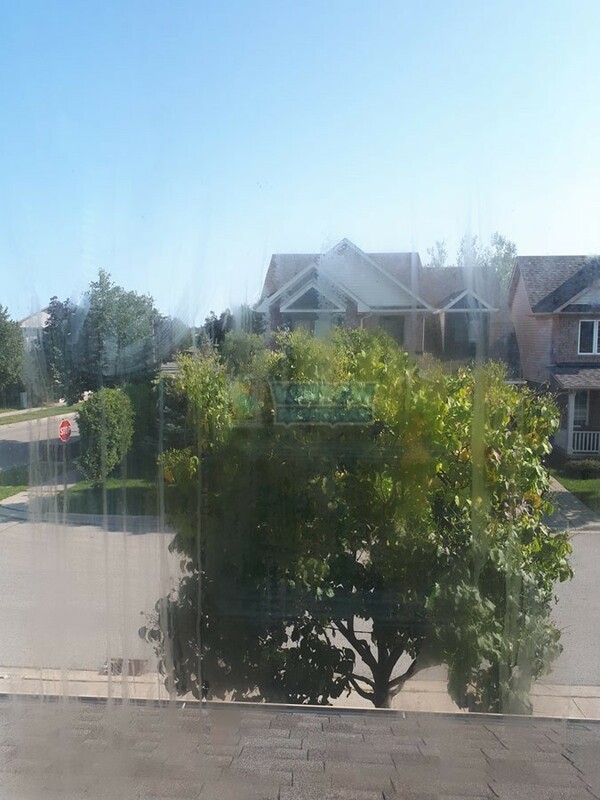 Whats more … Using our window repair service WILL SAVE YOU THOUSANDS OF DOLLARS! As you probably know, replacement windows don’t come cheap. By the time the slick replacement window salesman is finished with you, you’ll be signing a binding contract for an entire set of new replacement windows. It’s going to cost 1000’s of dollars that YOU REALLY DON’T NEED TO BE SPENDING! The window replacement companies don’t like us telling you this. 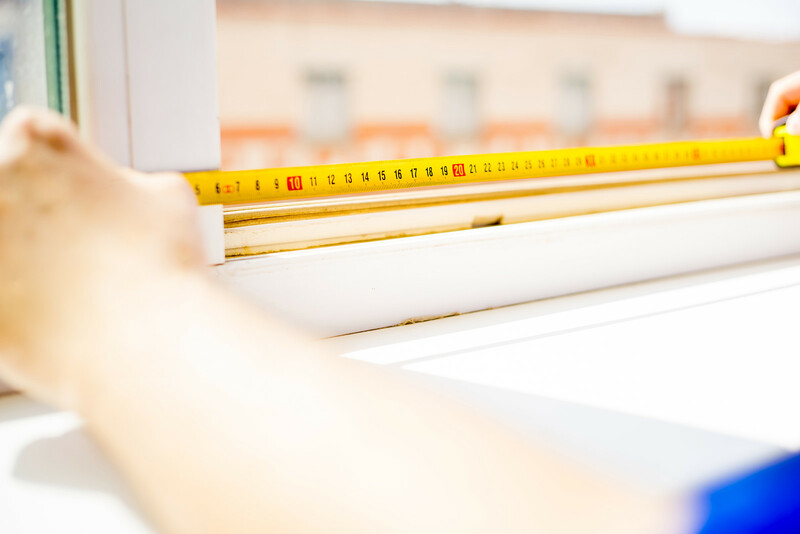 However all you need is a window repair to fix the PROBLEM – you don’t need to replace the entire window! Except for when there’s something drastically wrong with your window, why throw your hard earned money away? Spend your money on something ELSE! On something that you’ll actually ENJOY! Are your windows not opening or closing properly? Most likely you may need a window crank or window operator replacing. We replace window cranks but before doing so we want to identify if there’s a reason the crank wore out and remedy that first. Otherwise your new window crank may not last as long as you may hope. In contrast, we can perform a window repair that will have your window working like brand new – Much faster and a lot cheaper than what replacement windows run for! 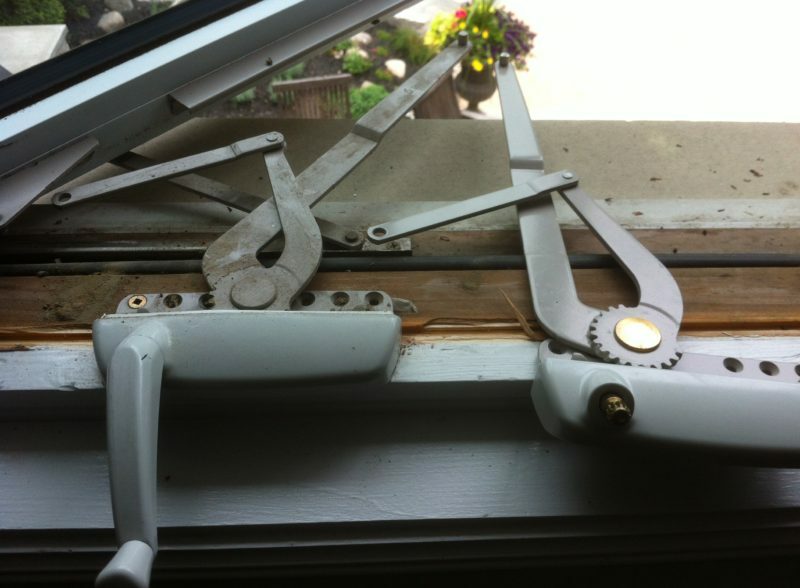 Many people simply don’t know that their WINDOW HINGES, WINDOW CRANK or WINDOW LOCKS can be replaced. Usually, they don’t know who to call to get window parts replaced – and that Window Repair Man specialize’s in doing just this! Just like I said, the replacement window companies only want offer you you NEW WINDOWS they are not in the window repair business. 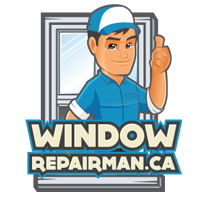 We simply want to fix your window problems, we do not sell you windows or have connections with window companies. Click here or CALL US now at 905 966 0838. Window Repairs and Patio Door Repairs we can fix them both. If you’ve got foggy windows, broken windows or patio door issues, we’ve got expert services that can get you fixed at a reasonable cost. P.S. 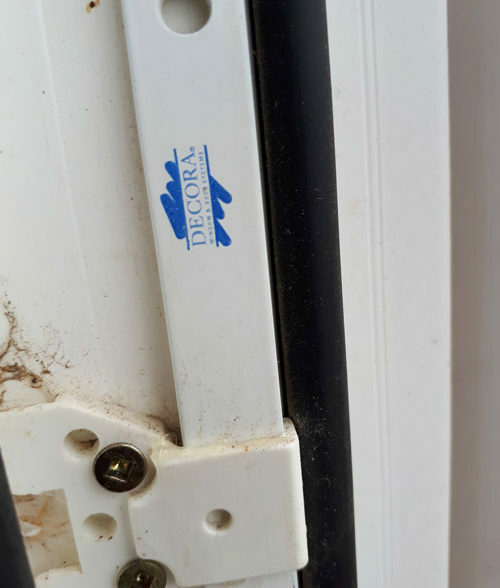 On the very rare occasion that you do need NEW WINDOWS, not a replacement window crank, replacement hinges, new rollers for your sliding door or a new lock fitting, our service call is free of charge! Therefore, you don’t have anything to lose by getting us to look at your window problems today. The quicker you make the call, the earlier your window problems will be solved. Iain was fast, friendly, and went up and beyond to please us adjusting a faulty lock on our door by spending an extra 5 minutes to save us 100’s of dollars. He miraculously fixed my window!! The old window could slide up but couldn't latch so I had to use a wooden block to prop it open. My carpenter couldn't figure it out but suggested a new window. Thank you for your magic fingers, Iain. 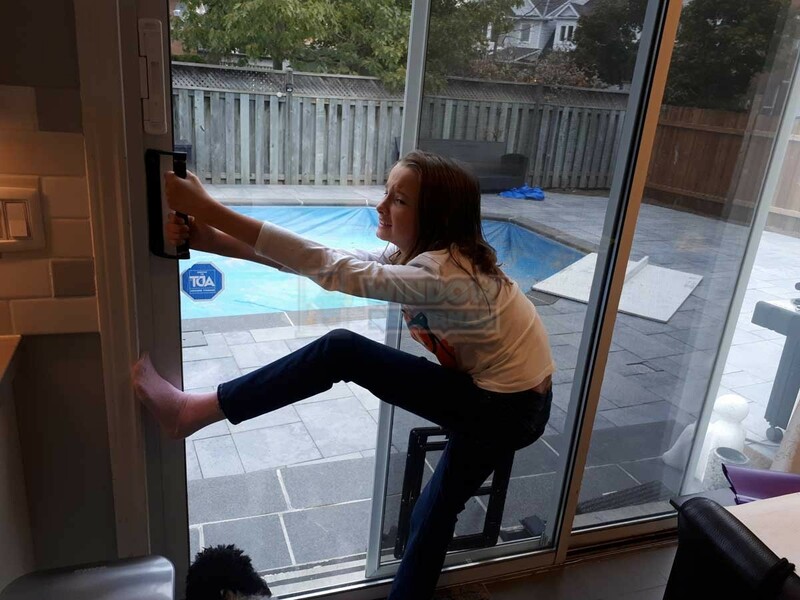 Crank window repair – did impossible! Based on the time and effort required, plus my delight in again having operable windows, I believe Iain UNDERCHARGED me! I am more than satisfied and really recommend Iain. Replace thirty-eight window latches, two window cranks, two pairs of hinges and replaced two window thermal units.He came and did all the work the same day. We could not be more pleased with the job he had done. Looking to get your windows repaired, or a sliding door fixed? We can help, in fact we’d love to help you save money by getting everything repaired. Builders cheap out, we do not! If we can replace using better parts we will. We fix/identify the issue before replacing any parts. When you compare the price of window replacement you will be relieved when you call us for window repairs! 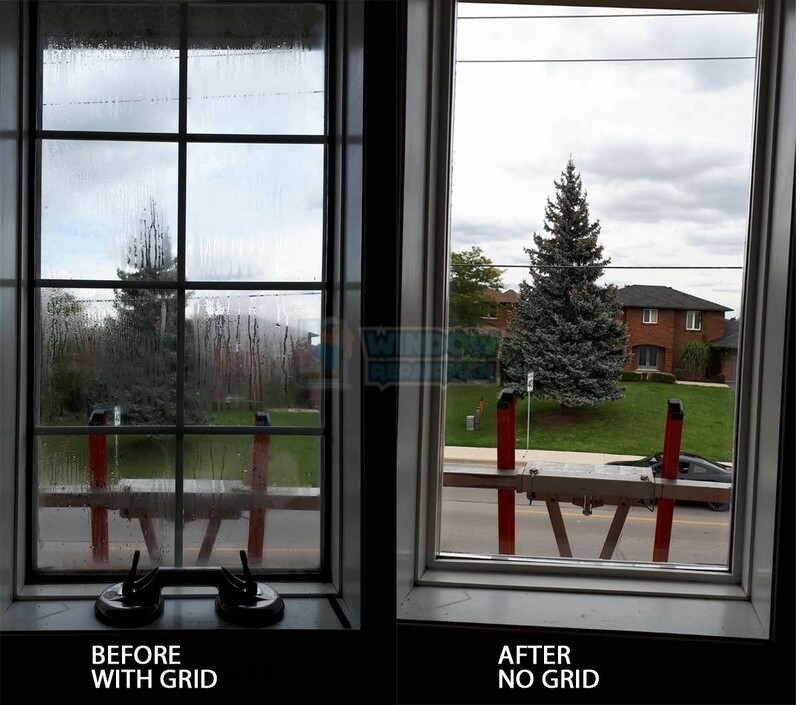 We fix windows in the following areas: Burlington, Oakville, Hamilton, Mississauga, Milton, Georgetown, Acton, Aldershot, Ancaster, Grimsby and Stoney Creek. live just outside our service area? Give us a call. Copyright © 2019 Window Repair Man. All rights reserved.